If you want to make time pass more slowly, just buy the wrong mobile device—especially one that comes tethered to a contract. Each day of those 24 months will feel like eternity. A purchasing misstep like that will sow trouble and hassle throughout your entire mobile ecosystem. You won't be able to buy the apps you really want, you'll be barred from using the services you really need, and you'll feel like a complete doofus when you pull out that white elephant in a crowd and someone asks, with a raised eyebrow, "How's that workin' out for ya?" We're here to help you avoid the stigma and potential chaos that can come with choosing the wrong mobile product. We've evaluated nearly every device and service on the market and have selected the cream of the crop for your consideration. If a mobile product isn't on this list, you probably don't want it. Trust us. If you're wondering why the Nokia Lumia 920 didn't make our list, it's because at least one editor was required to have had in-depth experience with a product before recommending it. We didn't require a full review, but hands-on time at a press briefing didn't qualify. No one here had enough time with the Nokia Lumia 920 to meet that requirement before our print deadline. The iPad ranks first on this sublist and third overall. Why the third-generation tablet when the fourth-gen product is already available? Because it had the biggest impact on the tablet market—it was the first to feature Apple's high-resolution Retina display. But if you want to buy a full-size iPad now, get the fourth-gen model: It has a faster processor, better Wi-Fi capabilities, and improved LTE circuitry. Amazon has the best e-reader in the Kindle Paperwhite; in fact, the Paperwhite is so good that it ranked fifth in our entire list. The Paperwhite's best feature is the integrated light that brightly and evenly illuminates the page, even in daylight. But Amazon has made other improvements to its e-reader: The E Ink display boasts higher resolution, the fonts are better, and the underlying software has been significantly overhauled. You don't get to be the best-selling Android phone by being average, and the Galaxy S III definitely has what it takes to move ahead of the Android pack—not to mention the iPhone 5, which didn't crack the top 10 on our overall list (the Galaxy S III came in sixth). With a speedy processor, an eye-catching display, and loads of attractive features, it's our favorite smartphone of 2012. As Maxwell Smart might have said, the Surface RT misses our top 10 by that much. That’s no surprise, considering that this is Microsoft’s rookie effort at building a retail computer; it's number 11 because the Surface has successfully redefined what a tablet can be. Amazon vastly improved its tablet user experience, rendering this 16GB model even more suitable for consuming content from Amazon’s vast digital storefront. More important, the company is selling the Kindle Fire HD at an incredibly low price for a tablet with an expensive optically bonded display. Amazon's tablet captured 13th place on our master list. We saw plenty of cheap Android tablets in 2012, but not one that was a worthy contender for this list. Then along came Google’s Nexus 7, which brought top-flight performance, features, and great design to an inexpensive tablet—along with a lovely, optically bonded display. It placed 14th overall. It’s the best iPhone yet, improving on its predecessors with features such as LTE connectivity, an improved camera, and a larger screen. It might not have the best map program, as you may have heard, but we have no doubt that the iPhone 5 is still one of the best smartphones of 2012. While we don't like it as much as Samsung's Galaxy S III, it remains high on our list at the number 22 slot. Thoughtful design and an ethereal yet effective built-in reading light make this e-reader one of the best you can buy. It’s also the most flexible, with a MicroSD card slot on board. And unlike Amazon, B&N doesn’t charge extra for an AC adapter. On the full list, the Simple Touch is number 26. No other digital media player has managed to knock the iPod off its perch. Now, it's more than a media player: It’s also a very good digital camera, camcorder, and handheld games device; in addition, when connected to a Wi-Fi network, it becomes a personal digital assistant (Siri). It's the only dedicated media player on our list, and it's number 46 on our master list. While it lacks a Retina display, Apple's smallish tablet is a joy to use, delivering a higher resolution than the first two generations of iPads. It would rank much higher than 48 on our master list if it carried a price tag closer to that of the Nexus 7. If you have an iPad, you need a cover. 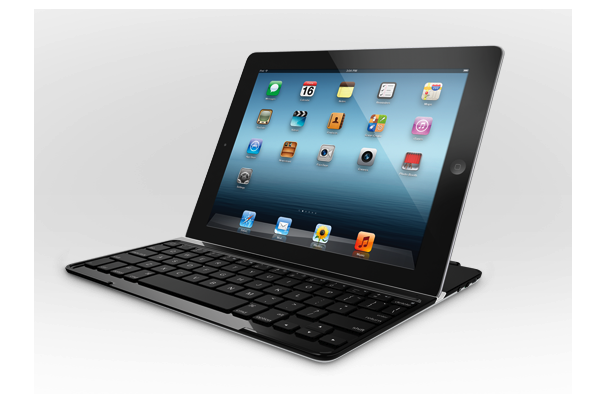 And if you intend to do serious work on that iPad, you need a real keyboard. Logitech fills both needs with one slick device that adds just 12 ounces to the weight of a bare iPad. It came in at number 51 on our master list. If you decide to take the plunge into Microsoft’s Surface (pun intended), spend the extra ten bucks to buy the Type Cover, which lands at number 65 on our Top 100 list. It’s a tad thicker than the less-expensive Touch Cover, but this keyboard has authentic keys that deliver genuine tactile feedback. Your fingertips will thank you. This is the first truly portable inkjet multifunction, squeezing a sheet-fed scanner into its compact form and including a full battery for on-the-go usage. It’s neither fast nor cheap, but its printing and scanning are top-notch. Bluetooth connectivity lets you print from mobile phones and tablets, earning this printer a 78th place finish in our top 100 list. 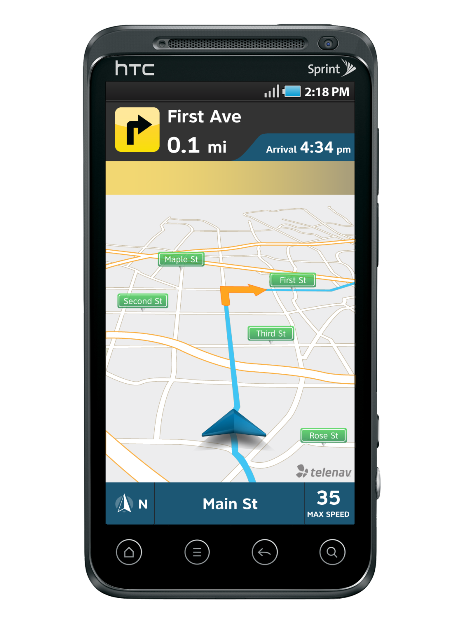 Anyone in the market for a better alternative to the navigation software that came with their phone—and we know who you are—should give this app a try. It provides excellent turn-by-turn navigation that takes real-time traffic conditions into account. Scout runs on Android, as well as iOS. It landed at number 90 on our complete list.